A quote from Christopher not-even-a-scientist Monckton. A link to some guy’s blog with his thoughts about the hacked CRU emails. A link to an unpublished paper by professional curmudgeon Richard Lindzen, in which he whines for 30 pages about how much better science was in the olden days, but no actual science. A link to a lawyer’s blog entry about the same two things above. 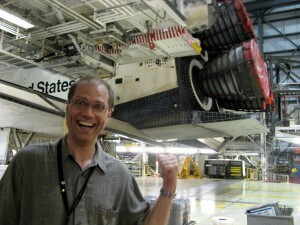 A link to a conservative physicist’s blog entry quote-mining John Houghton. A link to the standard quote-mine claiming Phil Jones says there has been no global warming since 1995, by yet another person who doesn’t understand the meaning of statistical significance. A quote from Phil Jones in which he accuses McIntyre and McKitrick of getting stuff wrong. As this was later proved to be true, it’s another funny one. 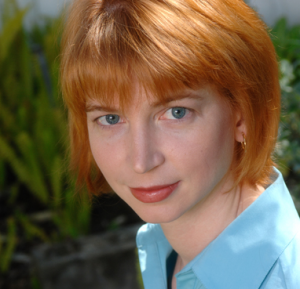 A claim that it was not up to her to provide actual scientific publications refuting AGW. A link to another article about the two one errors in the thousand-page IPCC 4. A claim that she had supplied “plenty of info”. A link to a blog entry by a materials physicist claiming to falsify Vermeer and Rahmstorf (2009), but not actually published anywhere. And nothing about Pfeffer (2008), which supports Vermeer and Rahmstorf, or the fact that the retraction of Siddall et al was because their sea level rise values were too small. A link to a blog discussing the Zorita letter, in which Zorita explicitly says he thinks AGW is real. A list of non-climate-scientists who think the APS is too strong in its policy statement on AGW. A claim that anything that can be found on realclimate.org is automatically wrong. 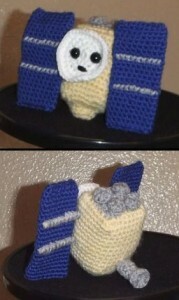 An assertion that I am a wanna-be engineer, and thus not to be believed. A second claim that it was not up to her to provide actual scientific publications refuting AGW. An assertion that the truth must be in the middle. An assertion that I am an alarmist engineer, and thus not to be believed. An assertion that I have no science training, and thus am not to be believed. An assertion that I am a non-science person, and thus not to be believed. A request to Run along now and play with your circuit board. Leave science to scientists. And, finally, the first link to actual peer-reviewed literature!! A list of 500 papers refuting AGW. I was not impressed by the start, and didn’t have time to look at it much, but here I am trying to stay up late so I can sleep on the plane on my way back to my pitiful miserable little engineering life. So let’s just see how far through that list I can get. While we were working to eliminate these pork barrel earmarks he [Senator Obama] voted for nearly $1 billion in pork barrel earmark projects. Including $3 million for an overhead projector at a planetarium in Chicago, Illinois. My friends, do we need to spend that kind of money? 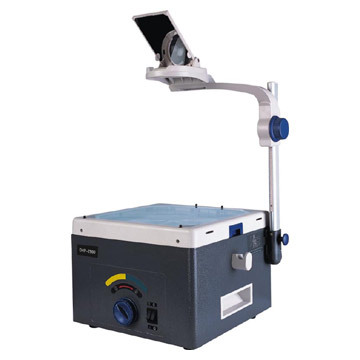 This is an overhead projector, John. 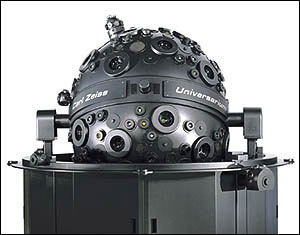 The Zeiss Universarium Mark IX. Worth a lot more than three million dollars. I don’t for a minute think John McCain believes the Adler wanted to get $3M for the upper thing, so they could get one at Office Depot and spend the rest on hookers and blow. Surely he knows what a planetarium is, and what planetarium projectors are. The only reason to refer to that amazing apparatus as an overhead projector is to imply (by which I mean “lie”) that Obama will spend money just for the sake of spending. Man, I used to think Arizona had some decent senators. I always had a soft spot for Barry Goldwater, and McCain used to at least appear honest. Maybe he was, and running for Prez has rotted his brain. Or maybe it was all an illusion to start with. But this is ridiculous. You can make the argument that planetaria ought to be funded by, say, peer review at NSF, rather than earmarks, and I’d be right there with you. But pretending that the earmark was for an overhead projector just makes me wish Al Franken were still on the radio. Oh, I forgot to link to Phil’s post on this, which is what got me going in the first place. This thing is going to go into orbit in November, and come back a week later. Unless something goes wrong with my shuttle flight (and I say “my” in the sense that a stage manager refers to “her” actors). In which case it’ll go up next month to rescue my astronauts. I got the Amazing Dr. Ed Tour of this bird today. It’s really pretty amazing, when you stop to think about it. More posting when I have a bit more time. By which I mean, in the age when you did astronomy in the dark. In response to a post at the Bad Astronomer’s blog, I was reminded of some long-ago nights. I spent a month at Cerro Tololo one summer, and it was totally awesome! Mostly because I was 9, and if I fell asleep in the dome it was no problem! And yeah, I think I made it to midnight once or twice. Actually I was probably up the mountain only a handful of times, but it was so cool I remember it more than staying down in La Serena. What more could you want: Magellanic Clouds, giant condors eating meat out of your hand, beautiful mountains, electric carts to drive around in, night assistants to develop all the photos I was taking with my box camera (with VP-620 film! Yeah, shooting medium-format at age 9, woo-hoo!) And plenty of Creedence Clearwater Revival in the dome. A friend had sent my dad a tape of all the CCR albums. Y’know, a reel-to-reel tape. And the cocoa made from hot water was the best ever, because the powdered milk down there had fat in it! Didn’t last forever like the nonfat dry milk they have round these parts, but it tasted like actual milk. And you haven’t lived until the sun has been blotted out by the shadow of a passing 12-foot-wide bird. So that was all very cool. And my dad is still cool, even if he’s gone on to studying scallops. Wait, because he’s gone on to studying scallops. Apparently science is like joy: You make your own. It’s been a rough week at work. (Okay, all recent weeks have been rough; bear with me here.) We have a problem that doesn’t make sense. We look at the circuit board, poke at the pins, measure resistances, and everything appears to be fine. But inserting the board’s moving connector into the motherboard shorts out one line. Problem is, we can’t see inside the box to see what’s happening. The short is to chassis ground, and it stops happening when we remove the metal stiffener right above the connector. Yes, the stiffener is connected to chassis ground. Clearly the pin is contacting the stiffener. Only, no, it can’t be. The stiffener is much further from the pin than the maximum amount of motion it has. If the pin is touching the stiffener, it’s being pushed out of place when we insert the connector, and then magically snapping back into place when we demate the connector. Which seems highly unlikely. So we’re left with no reasonable solution. Okay, here’s where this stops being technical. Did any of us ever once even consider it a remote possibility that we were wrong? That GODDIDIT, or Science Doesn’t Know Everything, or There Is Another World Beyond The Physical, or There Are Other Ways Of Knowing? Not once did anyone even consider those possibilities. It wasn’t pixies, it wasn’t fairies. It wasn’t demons, or Wätte, or leprechauns, or imps or spirits or pink unicorns or angels who don’t want us taking really pretty pictures of their sky. It’s physics, it’s electronics, and the reason we have no explanation for it is because we’re not smart enough. So why the hell are so many creationists engineers? Don’t make no sense. No engineer ever sees a vexatious engineering problem as a sign of a Higher Power; it’s a sign that we need to work harder to understand. So Whiskey Tango Foxtrot is up with engineers who don’t understand evolution just throwing up their hands and saying Ha! God musta did it! My evolved eyeball he did. If you trust science to work for our telephones and cars and computers and consarn space telescopes, why the hell don’t you trust it for biology? Oh and by the way, the problem was indeed that the pin was being pushed out and “magically” pulled back into place. Not sure exactly how, but the last time we disassembled, said pin had not been pulled back into place. And the plastic connector body is damaged at the shoulder that’s supposed to keep the pin in place. So yeah, seemed unlikely, but with the right kind of sitch, unlikely becomes possible. Nothing supernatural required. Again. Do I have a great job or what? Okay, you all (both of you reading this) know by now that George Takei is finally getting married to his longtime partner Brad Altman. I can’t believe he waited this long! Oh wait, it was the government that kept him waiting. Kinda like it kept him waiting in the concentration (sorry, “internment”) camps back when he was an extremely dangerous foreign (by which I mean “natural-born American”) enemy (by which I mean “child”) back during WWII. But I digress. So yeah, I heard on NPR that he was getting married, and it made me very happy. I’m not a huge Trek fan, but I have probably watched nearly all of The Original Series, and the movies through #4, when they jumped the shark. (Technically a whale, but close enough.) And somehow it just seemed like a great improvement in the world that Takei-san could marry his love. But wait, the story isn’t over. He is coming to my workplace next Tuesday to give a talk, and being a space-oriented sort of workplace of course he wants a tour. And guess who gets to give him the tour of building 29? You are currently browsing the I Think I Need a Shoehorn weblog archives for the Science category.